Parkwood is a planned community located in South Durham, North Carolina. As one of the very first homeowner associations in the state, Parkwood is home to a diverse group of nearly 3,000 people. Originally designed as the primary neighborhood for employees of the Research Triangle Park, Parkwood’s unique history is unmatched in North Carolina. Parkwood is the proud home of more than 100 acres of shared parkland, 4 playgrounds, a ballfield and swim club, an elementary school, various houses of worship, an excellent Mediterranean restaurant and grocery, and more. Interested in calling Parkwood your home? 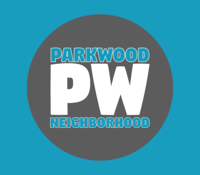 Be sure to read our community bylaws, and learn about the various committees who work hard to keep Parkwood the beautiful and fun neighborhood it is known to be. Click on this link to access our Google Group and communicate with your neighbors! It's that time!! The Spring Parkwood Community Yard Sale happening and we've got some new, exciting things happening with this semi-annual event! 🌷 TROSA will have a truck onsite ready to haul away the unsold items you're ready to part with! 🌷 The Mediterranean Grille + Grocery is opening their doors at 9AM to serve breakfast just for us! 🌷 Buyers, Sellers, Traders, and even vendors are welcome to this event! We hope this event will reach our Durham neighbors near and far. Be sure to spread the word, and we look forward to seeing you there! !